Cartier needs no introduction. It is a name one automatically associates with high jewelry and exquisite timepieces. With more than a century and a half of history (It was started in 1847), pieces from this Maison are revered and passed on from one generation to the next. Adorning yourself with a piece of jewellery and a timepiece from Cartier makes you feel aristocratic. That is the kind of power that the brand carries. Cartier has had a long association with royalty. Edward VII ordered 27 tiaras for his coronation in 1902 and later Cartier earned the title of ‘Jeweller of Kings’, ‘King of Jewellers’ from the King. Similar warrants followed from royalty around the world. 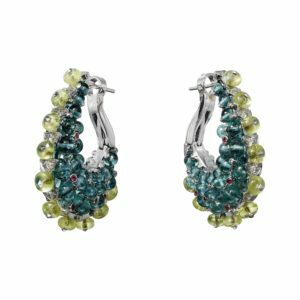 From the masters of high jewellery, comes their brand new collection: Coloratura. EE’s pick for the upcoming season, here is an array that will blow you away Explore the collection with us on Cartier’s global journey. Driven by a universal curiosity, the Maison investigates creative diversity; uniting the four corners of the globe and blending the variety of vast continents alongside their local traditions. The correlations between past and present, the connections between cultures and generations, all viewed through the human values of celebration, sharing and joy. The diversity of the world offers a rich palette of colour and creativity. Colours combine; horizons meet. The vibrant colours of India, the uncompromising contrasts of Asia and the Orient, the subtle palettes of Japan, and the staccato shades of Africa are united and presented in a stunning collection. Riveting, unrelenting and powerful, each piece is a rendition of the culture and richness of the nation it represents. Craftsmanship and design unite with thought and creativity. The ultimate result is an array of exquisite jewelry that mesmerizes as it captivates. Bringing the beauty in contrasts and enriching each design with heritage and culture is what makes the collection so special. Each creation has a story and speaks to you.